William Dufris began his audio career doing radio plays, audiobooks, film/animation dubbing, and language tapes in London, where he lived for thirteen years. While there, he had the honor of sharing the microphone in a number of BBC Radio plays with Kathleen Turner, Sharon Gless, Stockard Channing, and Helena Bonham-Carter. These experiences led him to cofound two audio production companies: The Story Circle Ltd. and Mind's Eye Productions. He has also acted on stage and television in the United States, the United Kingdom, and Germany. William is the original voice of Bob (and Farmer Pickles/Mr. Beasley/Mr. 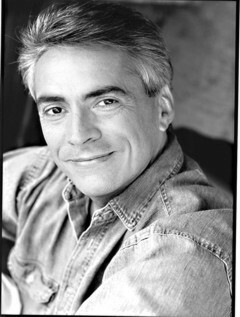 Sabatini) in the popular children's show Bob the Builder for the United States and Canada (Series 1–9). He produces, directs, acts and engineers for his audio theatre company, Rocky Coast Radio Theatre. He has been nominated nine times as a finalist for the APA's prestigious Audie Award and has garnered twenty-one Earphones Awards from AudioFile magazine, which also named him one of the Best Voices at the End of the Century, as well as one of the Best Voices of the Year in 2008 and 2009.